Sparkling Pineapple Lemonade - our signature summer cocktail! Can make with or without alcohol. Lemonade mix, vodka, pineapple juice and sprite. SO easy to make! Super refreshing cocktail for all your summer parties. I think summer parties need a signature cocktail/drink. 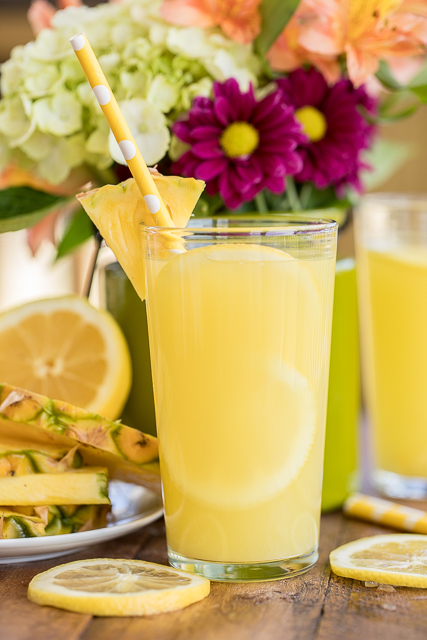 This summer, our signature cocktail is the Sparkling Pineapple Lemonade. It is so light and refreshing! We like to make this with vodka, but you can also make it non-alcoholic. Just swap out the vodka for water and you are good to go! Either way it is delicious! 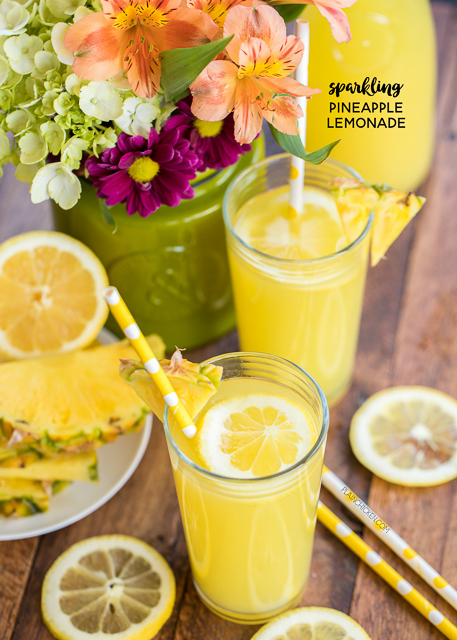 This Sparkling Pineapple Lemonade is perfect for a party since it makes a lot of lemonade. The recipe is also easy to half or double, so you can adjust it to your needs. 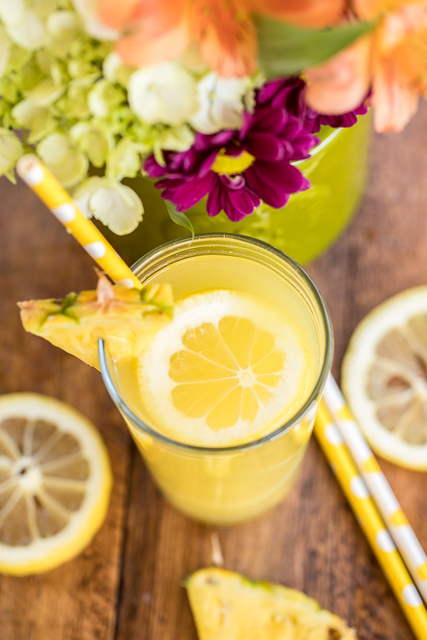 It is best served cold or over ice with some fresh lemon and pineapple slices. This would be perfect for any last minute 4th of July parties or upcoming summer cookouts. I can actually see us serving this at one of our tailgates this fall. In a large pitcher, combine lemonade mix and vodka/water. Stir until dissolved. Add pineapple juice and Sprite. Stir well. Cover and chill. Serve over ice with lemon and pineapple slices.